This communiqué presents, in as comprehensive manner as possible, the questions, answers and comments provided by the dialogue process that took place between the Non-Governmental Organizations (NGOs) and the MIKE team on 29 May 2002. The format follows the questions provided in advance with the responses, followed by the supplementary questions that surfaced during the dialogue. Q1. Does the Technical Advisory Group (TAG) judge that the statistical power of the MIKE analytical framework is adequate to assign particular causality to any changes in illegal killing? In interpreting this question it is important to distinguish that the statistical power of the MIKE design and causality are two different issues. It is clear that sufficient power to detect significant change will require data collected over a period of several years. The statisticians feel that tentative estimates of the statistical power of the current sampling design could be obtained using relatively few data, and this is currently under discussion by the TAG. The issue of causality was addressed at the latest meeting of the Conference of the Parties (CoP), when it was agreed that it was an unrealistic expectation because it never was going to be possible for MIKE, or any other system, to establish causality with absolute certainty. However, when sufficient data become available, MIKE will be able to provide robust measures of the strength of evidence for particular causal effects. Indeed resolution 10.10 was amended in recognition of this at CoP11. Instead MIKE will attempt to identify the factors that are influencing any decline and with sufficient collection of data over time, it should get easier to detect the possible influence of any factor, including future CITES decisions. The fact that MIKE was originated in a CITES context to help CoP processes, has masked the potential of MIKE to inform range States on what is occurring in their countries and sub-regions, irrespective of any CITES decision. The range States are certainly aware of this and welcome it. Supplementary Q1: Please explain the difference between establishing cause and identifying influencing factors. There is no such thing as a scientific method to prove causality. Let us take the analogy of smoking and lung cancer. This relationship was the first time that statistical evidence has been accepted as establishing a link between behaviour and effect. There is no ‘proof’ that cigarettes cause lung cancer. However, due to overwhelming statistical evidence of a relationship, causality is now accepted as beyond reasonable doubt. In the same way, MIKE can accumulate evidence of any relationship between poaching and influencing factors. Q2. Despite the re-wording of Decision 10.10 at CoP11, a number of CITES Parties are still saying that they will await the results of MIKE before deciding whether or not the decisions made at the 10th meeting of the Conference of the Parties (CoP10) were damaging to elephant conservation. How confident is MIKE that the Parties are fully aware of the limitations of MIKE in terms of identifying a confirmed causal relationship between changes in trends and CITES listing decisions? In terms of the decisions made at CoP10, MIKE will not determine whether those decisions were damaging or not, because they predate the start up of MIKE. WE need now to look ahead. The issue therefore is: are Parties aware of what MIKE can and cannot do in terms of assisting future decisions? Most Parties are aware that MIKE will not be in any real position to provide information that might assist any decisions under consideration at CoP12. Nevertheless the feedback we are getting is that the range States, at any rate, do believe that MIKE can provide information that will make a significant contribution to their decision making, be it at the site level, the sub-regional level and the CoP level, hopefully from CoP13 onwards. In the longer term, as MIKE gains enough sites in each range State, it should be possible to assist more usefully at the national level. It was emphasised that it should be realized that outside Africa, many Parties still do not understand what MIKE can and cannot do. For instance, the European Commission’s (EC) position at CoP11 was that they were not able to make decisions because MIKE was in no position to inform on whether decisions were damaging to elephant populations. Furthermore ifthere is misconception regarding ability to detect effects of CITES decisions, then Resolution Conf. 10.10 (Rev.) does not help dispel this perception. The point was made that the answer to Question 2 is referring specifically to CoP12, and is not necessarily applicable to CoP13 and beyond. The answer therefore is not saying MIKE will never be able to deliver this kind of information. The European Union (EU) is a donor and should be aware of what MIKE is, as it receives reports, etc. While some proactive education is needed, active players should not feign ignorance. It is also important to realize that the correct response is not a black and white one. Because MIKE cannot prove causality does not mean it cannot provide evidence about the effects of factors on poaching. There is poaching going on currently which has nothing to do with any CITES decisions. 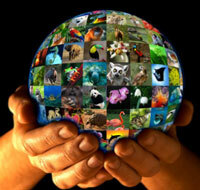 CITES decisions are therefore one factor among many. Decisions may have impact on poaching, just as other factors will. CITES decisions can only be assessed as a factor, if MIKE has been operating for some time, and then a decision is made. This needs to be more broadly understood. Q3. When developing implementation protocols, frameworks, and capacity, is attention paid to ensuring MIKE implementation will be sustainable? e.g. not reliant on continued external inputs? Or is this goal unrealistic? It is a fundamental objective of MIKE to help range States integrate the monitoring system into their own routine, so that they are not dependant on external support in the longer term. A great deal of effort has gone into a dialogue with the range States clarifying this objective and confirming that MIKE will not support a process which requires bonuses, primes, etc. to undertake what they themselves have mandated to be developed as part of their own capability. To be fair, the range States have acknowledged and confirmed this objective. But in this regard, we are also requesting site partners, such as yourselves, who are willing to help with MIKE, to negotiate at the outset of any project, a commitment from the relevant Government that they can and will absorb any incremental staffing and other resources, into their recurrent budget. Because law enforcement monitoring and data analysis can still be very effective, using existing resources, this goal is not believed to be unrealistic. There is a bigger challenge in getting population surveys, particularly forest ones, integrated on a self sufficient basis. However the range States are actively considering a regional approach as part of the solution. If there is a sustainability issue, then it is probably not so much at the range-State level, but more the issue of maintaining the sub-regional support units and the central coordinating unit (CCU). In considering the future of these units, it will be important to recognize their functions in terms of capacity building, data analysis and coordination, sub-regional and global coordination, harmonization and standardization, etc. Supplementary Q3: Assuming that sites would carry on operating without external support, to what extent would outputs from these sites be of the same extent and value? If an adequate standard is not achieved, then MIKE will not have been successful in attaining sustainability. However after 10 years reaching this goal at a national level is attainable. However, there will still have to be central and sub-regional support units to harmonize and coordinate analysis at sub-regional, continental and bi-continental levels. If these functions are important, they will need continued funding. The support units are therefore in a more precarious situation. Q4. How effective has MIKE implementation been in boosting local capacity for wildlife monitoring and enforcement? It is too early to say. It is important however to distinguish two aspects of local capacity. The first is developing existing capacity to be more effective. MIKE should be able to achieve that. The second is helping capacity to grow to more optimal levels. This is harder because of the reluctance by Governments to increase wildlife sector budgets. This latter aspect is a challenge for all of us, not just MIKE. -generation of centralized results and reports? It is part of the MIKE design that the data collection and analysis should be systematic in terms of methodology and time. Fortunately the range States fully subscribe to this standard, because they want the ability to know how the information was generated, know that it is of an internationally acceptable standard and be able to share it with one another, particularly, where they have cross-border linkages. To achieve this goal, MIKE uses the TAG for harmonizing the science and methodology; provides initial training at the sub-regional level and has the CCU to oversee the maintenance of consistency between sub-regions. More specifically, this consistency is supported by MIKE forms, and even where some countries have their own forms, there is agreement that they will ensure MIKE data are collected. It is supported by designated National and Site Officers. It is supported by standardized equipment. It is supported by a data management process that starts at the site level and builds up at the National, sub-regional and Continental levels. Reports at the sub-regional level have to be agreed with the sub-regional Steering Committees. Supplementary Q5.1: Are the data from southern Africa already forwarded to TAG and analysed there? Is this process automatic and working? The start-up in southern Africa was ahead of establishment of the CCU and the TAG. In the interim period, they have been sending data to the Secretariat, who was the custodians awaiting the establishment of the CCU. The southern Africa sub-regional support officer is now the initial custodian. For MIKE analysis, it will be necessary to have the design system for the data analysis completed and the TAG are advising on this at the moment. The process should then be reasonably systematic. Supplementary Q5.2: At the beginning, it was thought site officers would dedicate approximately 50 per cent of their time to servicing MIKE. Is this still true? This varies between the countries. Some States have decided they want MIKE to be top priority for site officers and are happy to have almost full time commitment, but all site officers know that MIKE duties are part of their daily responsibilities in line with agreed Terms of Reference. This is why premiums are not being paid. Supplementary Q5.3: What mechanisms are built in to ensure the data flow from bottom to top actually works in reality, especially in terms of Information Technology (IT) malfunctions, etc.? MIKE will be undertaking training with all site officers and further funding is being sought to supplement this activity as training will be crucial. Part of this training is bringing Site Officers together as this provides increased stimulus to implement properly. 1. Not cutting corners in buying new reliable and good equipment. 2. Getting input on what the chosen supplier has by way of IT support networks across Africa. 3. Building up support network and communication process to support IT. 4. Ensuring training/operational manuals will be available etc. Q6. Are there formal systems established for cooperation and exchange of information between MIKE and ETIS? MIKE is an information system capturing data on populations and illegal killing, largely derived from in situ operations, whilst ETIS is an information system capturing data on illegal trade largely derived from ex situ operations. It is not yet clear though where the two exactly start and stop. For example, where do road block activities fit in. There is a need therefore for a formal system to be established. At present that has not been done, but it is an objective to try and achieve such linkages. Obviously where MIKE processes produce information relevant to ETIS, then sending on such information will be encouraged. It is also no accident that we have the Reading University Statistical Unit helping both of us, as we wish to have their help in linking up the information. But it is also useful to see the information from MIKE and ETIS as being one of ‘checks and balances’. So for example, if either one is picking up a trend that the other is not, this can be used as feedback, to help the other review their own process. At national level many contributors to ETIS are the same authorities that are working with MIKE. There is a growing appreciation of the need to report ivory and elephant product information into the ETIS system. It should be a simple operation to build into the MIKE protocols a means to report whether any seizure has been reported to ETIS or not (i.e. tick a box). Level of information in two systems will be very different. ETIS and its predecessor has been running from 1989 to the present. Currently there are nearly 6,000 data points and for some countries, particularly in southern Africa, TRAFFIC is confident that all ivory retrieved is in the ETIS database. ETIS has already produced series of country reports, which go to every country in the MIKE process. These catalogue all data relating to this country in tabular format. Unlike MIKE, there will be formal report from ETIS at CoP12, which will give trend analysis. In the last three months, major efforts have been ongoing with approximately 2,000 more records. Since the 2nd national country reports went out, there has been very broad and better than expected response from a range of Parties, many for the first time. Many countries will be very focussed on this. The process for reporting at CoP12 will be done in two phases. There will be a preliminary report next month for immediate distribution, which should stimulate yet further inputs. This will enable a more final report, which should be able then to include a more rigorous analysis of the data. Supplementary Q6.1: To what extent are range countries using ETIS? Are there many requests for information? Information is being delivered whether it is asked for or not, through national reports. The momentum for getting input seems to be growing in terms of new data, new information, validation of data, expressions of appreciation, etc. Some countries, which have not seen themselves as central to ivory trade, are now recognizing that they have problems. It is hoped that recipients will respond more positively thanks to the process of submitting a progress report and discussing ways to improve ETIS at meetings of the Conference of the Parties. Supplementary Q6.2: Are the national reports sent to all countries or only the report specific to that country? The database has 25 fields of information and the current reports involve a summary tabular presentation. Each country is getting all data related to that country. It is the overview that will draw out salient points for all countries. In this regard, TRAFFIC is experimenting with Geographic Information System (GIS) modelling of data which may be more effective in visually demonstrating major trade routes. Supplementary Q6.3: Is price included in analysis? There is a subsidiary database on domestic ivory markets and prices. Searching the data has revealed a considerable muddle on prices, because they are often not related to particular point in the trade chain and prices are very different at the start and finishing ends of the trade. TRAFFIC is trying to develop ways to get better understanding of effect of price. Supplementary Q6.4: Is the flow of elephant meat being incorporated into ETIS? Yes, meat seizure is part of the database. In the pre-CoP11 analysis, there was a single instance of elephant hide seizure. This time it is different and there are more seizures of meat, skin, etc. However most meat being seized is not being reported, although this may be the most common seizures in some areas, such as Central Africa. It is not necessary to be a government official to submit info to ETIS. NGOs can do this, and please do! TRAFFIC will then try to validate and incorporate the data. Q7. What is the current policy on data access, use and ownership? This is a point needing clarification among NGOs, range country authorities, MIKE and the Secretariat. MIKE is a programme mandated by the range States to systematically collect standardized data that will provide information to help them formulate management and policy decision. The raw data and information therefore belong in the first instance to the range States themselves. This is fairly clear cut at the site and national levels, where the collection and site level analysis is undertaken. From the national level, the raw data and information move onto the sub-regional Support Office, for sub-regional coordination. The results at this level are provided to the Steering Committees. The raw data and any subsequent information added along the way then carry onto to the central coordination unit, who carry out the sub-regional- and continental-level analyses, which are again shared with the range State directors. The MIKE staff and the TAG members who can and should facilitate in assisting the analysis process, etc., are in no position to release these data and information. The release of raw data and information for a country remains at the discretion of that range State. At a sub-regional level it is at the discretion of the Steering Committee. Supplementary Q7.1: Have any range States refused to make data available? Not yet, but there is a longish history to this question. In 1998, when establishing the MIKE Subgroup, the understanding that Parties have to participate with openness was agreed by them and it is recorded in the minutes. The experience of the Secretariat is that since early days, site officers wanted to communicate data directly to the Secretariat. There has almost been competition between countries to submit data. Parties also seem very keen to see data presented on the website. To date there is not any evidence that Parties may not be willing to share data or that any State wants to be seen as reluctant. Supplementary Q7.2: The policy on ownership of data will be discussed in September at the MIKE range-States meeting. Will there be consultation with Asian range States? To date there has not been the opportunity to discuss with Asian range States, other than in the context of the MIKE Subgroup. This does therefore need to be followed up in Asia. The matter has been discussed at African sub-regional meetings and the September meeting provides the opportunity to put an unwritten protocol into written format. It may be practical to get agreement in Africa and then to consult in Asia and modify, if necessary. Supplementary Q7.2: Can any country request data that relate to them at any time? In the ETIS context, the data relating to a country may have originated outside that country. In that situation, the country may apply to ETIS for such data. This is less likely to happen with MIKE because the data are generated internally. The request in this situation is therefore more likely to be from one country about another country’s data. Under that scenario, the former will be directed by MIKE staff to ask the other country directly, unless the data are already in the public domain. Q9. What is the projected time frame for all African sites returning reliable data? For population surveys, some 15 sites have had a survey in the last year, and it is planned that all sites will have had one survey done before the end of next year. As at the end of May 2002, it remains true that some five southern African sites are currently returning reliable Law Enforcement Monitoring (LEM) data and two, possibly three, sites in Central Africa. This is because those sites have been operational for about two years. For the rest MIKE implementation only began in October 2001. All the sub-regions have now had their LEM training workshop and the support officers are following up with individual site visits. Over the next two to three months, we hope to see 80 per cent of all sites delivering monthly LEM reports. Q10. How far advanced is MIKE implementation in Asia? Notwithstanding an implementation meeting in Southeast Asia (Burma, Cambodia, China, Indonesia, Laos, Malaysia, Thailand and Vietnam) in 1999, MIKE implementation in Asia has not started, because of lack of funds. Under these circumstances, a fundamental decision was taken to concentrate on getting Africa up and running, before concentrating on Asia. However the CITES Deputy Secretary-General and the MIKE Director recently visited the United States of America and held discussions with the US Fish and Wildlife Service (USFWS), Conservation International (CI), Wildlife Conservation Society (WCS) and WWF-US, and there is now a real possibility of having funds secured to enable a two-year phase 1 implementation in Southeast Asia, starting before CoP12. This leaves South Asia (Bangladesh, Bhutan, India, Nepal and Sri Lanka). The plan is for the MIKE Director to visit India to discuss MIKE implementation during August or October. In discussing the need to engage and encourage India, the information was tabled that the Chairman of the Asian Elephant Specialist Group (AsESG) had stated that IUCN had taken over MIKE implementation. The clarification was therefore provided that the AsESG was consulted at the design stage and apparently they were not comfortable with the design. However India supported Resolution Conf. 10.10 (Rev.). This is where the matter now lies. It did not get to the stage where IUCN took over implementation, so matters do not rest with IUCN. The Government of India has a focal point in Federal Forest Service. The plan is to start with the focal point, and, given the Indian Government’s support, to then reach out to other potential collaborators. Supplementary Q10: Looking at MIKE in the policy context of decision making, it is vital that it be fully operational in both Africa and Asia. What have you been looking at with respect to ongoing work within Asia? Asia has done a range of elephant monitoring and anti-poaching activity, so how can MIKE interact with this work? The CITES Deputy Secretary General and MIKE Director went to New York and Washington, D.C., when enough attention had been given to Africa, as priority has been to get Africa up and running before embarking on this process. This visit included meeting with NGOs with the experience described above, as there is no reluctance to involve them in the process. Thus WCS has agreed to partner MIKE in Asia as well as Africa. Preliminary discussions with WWF US also indicated a willingness to collaborate. Equally important is the opportunity to share experiences between the continents, particularly in regard to forest population work and this can be seen in the way the NGOs themselves are responding to monitoring processes. In Southeast Asia, the Governments have discussed sites in a pilot context, but there probably needs to be some more discussion around the sites issue. Southeast Asians want to move ahead, and feel slightly peeved that it has taken such a long time from the first meeting till now. The MIKE Director will be trying to further this dialogue in the coming weeks. Q11. If MIKE were implemented in Asia, would the statistics provided by MIKE be able to alert us that the Asian elephant has gone extinct in any given year, if less than 60,000 African elephants have died that same year? If the answer is yes, has something changed in the statistics of MIKE to enable this to be possible? If the answer is no, does it make fiscal or ecological sense to implement MIKE in Asia? Attempting to make such a simple extrapolation from Africa to Asia is misleading. The question implies that if MIKE fails to detect a drop of 60,000 elephants across Africa (i.e. approximately 10 per cent of the continental population) then it would not be able to detect a similar absolute change in Asian elephant numbers. The implication is that the entire population of Asian elephants could go extinct without MIKE detecting it. This is not the case. 60,000 of 600,000 is not the same as 60,000 of 60,000. For example, a 50 per cent decline in the Selous population, from approximately 110,000 to about 55,000 did not go undetected by aerial counts and statistical tests. Today the Selous population is estimated in excess of 60,000 and we estimate that aerial surveys at 10 per cent intensity should be more than adequate to detect a significant population decline between two surveys. For smaller populations, like Addo in South Africa with 300 individuals, even smaller changes in absolute numbers would be detected by annual counts and individual monitoring. Perhaps a more analogous situation to Asia is West Africa with numerous small, pocketed populations numbering in total less than 10,000. We expect MIKE to detect much smaller changes here than that implied by the question. Perhaps the more important question is whether Asia would enjoy the benefits that MIKE is bringing to elephant conservation in Africa. MIKE has a broader remit that may be overlooked. It is engaging range States in valuing information as a basis for decision making. It is developing their own capacity to collect such information. It is empowering site managers to collect, analyse and use the information for guiding their optimum use of scarce resources. It is encouraging real cross-border collaboration including a demand for systematic and harmonized approach to data management at different levels including the sub-region. It is a catalyst for harmonizing different monitoring systems initiated by different donors because MIKE was mandated by the range States themselves, including the appointment of MIKE officers. It is a catalyst for moving elephants and their conservation centre stage. By encouraging range-State ownership of the process in a sub-regional context, it draws out a greater sense of responsibility and concern over failure to maintain elephant populations. Q12. What level of commitment and enthusiasm has been shown by government regulatory authorities with whom the TAG is working to implement MIKE? First it is important to emphasise that the TAG does not work per se with the government wildlife authorities. This is largely the responsibility of the MIKE staff. That said, the issue of government commitment and enthusiasm is pertinent. Whilst MIKE implementation still has a long way to go, the progress that has been achieved so far, would not be possible without range-State commitment. Evidence of this can be seen in that each sub-regional workshop has been attended by all participating countries. Since then, we have lost touch with Nigeria (but we are not alone in this). All the range States, except the one above, have put in place their national and site officers. The great majority were regularly complaining about the delay in starting up MIKE. There is constant pressure to extend MIKE to more sites. Obviously this could be a honeymoon period, but if MIKE can continue to foster that this is a range-State-owned programme, with the potential to benefit each and every range State, as well as fostering cross border collaboration and we do not raise false expectations, then I think the commitment and enthusiasm will stay. Q14. What resources does MIKE still require to enable it to become fully functional in both Africa and Asia ? In this regard, how does the MIKE Director see partnerships developing with NGOs ? And what do they think NGOs can do to help more, particularly with respect to capacity building within range States and what it thinks NGOs can do to help more, especially in terms of capacity building within range States. The current funding is for 18 months and is restricted to Africa. There is now a likelihood that funds can be secured to allow a two-year phase in Southeast Asia. The estimated requirement to provide a two-year implementation programme in that sub-region is approximately USD 700,000. The vision is that we would like to provide support for 10 years so as to remove any risk of the capacity developed falling backwards, whilst ensuring full self sufficiency at the end of that period. At present, the situation is such that there is a real risk that at the end of the initial periods, MIKE will take a nose dive. If that happens, then MIKE is severely compromised. We are therefore urgently trying to secure longer-term funding. The CITES Deputy Secretary-General and the MIKE Director recently visited Brussels and believe that the EC want to help sustain MIKE through the longer-term. The current situation is that the EC are looking into which is the most appropriate budget line for assisting MIKE. Whilst donors such as the EC can provide the backbone for supporting MIKE, very real assistance has been provided by some of the NGOs. The potential for this obviously continues and we actively encourage and seek such partnerships. This partnership can take different forms. Many sites have or can have partnerships between the Wildlife Agency and the NGO. Such partnerships could adopt the monitoring process in their project support, with the provision of training, equipment (for example, we now know that Global Positioning Systems (GPS) are part and parcel of every day monitoring life, yet MIKE was planned initially on only two GPS per site), LEM capacity building, etc. In such a situation, we would request two things, the training, equipment and operational activities are harmonized and that any incremental development of staff, vehicles, etc. are able to be continued and sustained by the wildlife agency, post project. Another approach can be a thematic one, whereby the NGO can contribute, let’s say, to population surveys or data management development across sites. One or two NGOs are indicating their enthusiasm by becoming full MIKE partners which broadens the areas of assistance even further. Because MIKE is a range State mandated programme, then it is an opportunity to join forces to help the range States help themselves, but hopefully in the spirit of a family rather than ‘empire carving’. But obviously the NGO needs to believe in MIKE and feel it is worthwhile. Supplementary Q13/14. : Was there any change of attitudes when States realize you will not be giving long term support? After a careful and attentive dialogue process, there does not appear to be a change of attitude. The range States do appear to understand and feel that MIKE is ‘their’ programme. Wildlife authority staff involved have realized that in the end, it is their Governments they need to talk to, not MIKE itself, if there are problems such as lack of funding. But MIKE can help the wildlife agencies by bringing to their internal political level and to the global level under CITES processes, deficiencies in national management structures, lack of financial support, etc. Concern was raised that in sub-regions like Central Africa, MIKE presented real technical and management challenges, which would need the support of site based NGOs but it was felt that these field people had not been engaged in the process, notwithstanding that the NGO’s headquarters staff were supportive of the MIKE process. It was particularly important when field proposals were being prepared if the ‘fait accompli’ syndrome was to be avoided. In response it was confirmed that MIKE staff understood the need for and actively encouraged partnerships but requested the wildlife agency to confirm that such a partnership was welcomed and would help facilitate MIKE capacity building in particular. This procedure was in accordance with MIKE being a range-State programme. Where a site-based NGO did not wish to engage in MIKE processes, then it was important for that NGO to still respect the range-State decision to give MIKE priority in that site. It was also agreed that ‘faits accomplis’ should be avoided as much as possible. But it was important to understand that MIKE staff’s first interactions are with the wildlife agencies. The agency is encouraged to interact or agree that MIKE staff can interact with any NGO relevant to MIKE or the site. But MIKE staff cannot become a ‘pig in the middle’ in there is a difference of opinion between the agency and the NGO or between NGOs. The ideal is to create a ‘family approach’ to help MIKE be implemented. It was noted that the NGOs had their own internal role and need to have interaction with site staff in order to secure a more harmonized approach. One of the problems that some NGOs have with MIKE is because it is seen as a CITES political process. Those NGOs are not willing to support a mechanism that may encourage ivory trade, if it finally says that there is no link between ivory sales and poaching. This suspicion is reinforced by the fact that MIKE was born as part of a down-listing process. So how can this political aspect be reduced? In responding to this concern, it was felt to be important to distinguish between the way decisions at taken at meetings of the CoP and the way MIKE operates as a monitoring tool. The fact that MIKE was created pursuant to a decision adopted by the Conference of the Parties to CITES does not necessarily make it a political pawn. The fact that MIKE was conceived to assist CITES decision-making does not negate the growing understanding of and commitment to MIKE assisting at the site, national and sub-regional levels and helping to reveal other factors threatening elephants. For example the illegal killing of elephants in Central Africa with products moving into Sudan is occurring now and has little to do with CITES decisions. It is therefore useful that MIKE produces information that makes all Parties better informed on a continuous basis. 1. In the first instance, MIKE was often thought irrelevant because NGOs felt they were doing this work already and knew about populations. However, when it became increasingly apparent that this was not actually the case, the NGOs started to become more interactive. 2. But this second stage response was then dominated by a concern that MIKE was going to be competing for resource and this competition perception is still held by some NGOs today. Interestingly however, a number of NGOs are now being funded by the EC, using their involvement with or indicating the benefits for MIKE in getting that funding. 4. That CITES has a political dimension is reality, but this does not mean MIKE itself is political. It is trying to be as objective as possible. This is the rationale for the TAG, whose experts are really looking to ensure that the protocols and information are objective and can be assessed. 5. Lastly the Convention itself is coming of age and developing conservation management tools not just with MIKE but also with sturgeon, turtles, etc. The view was then expressed that the real question should be "is MIKE an objective and useable tool, which is balanced for costs and benefits?". The discussion then moved onto a concern about the process for informing Parties of results. In responding, the MIKE Director felt it important before all to clarify that MIKE faces accusations that it is a mechanism for resurrection of the trade, and that the main function of MIKE is to ban trade forever. These accusations are clearly contradictory. In reality, it should be agreed that if MIKE is going to be effective, it needs to be objective. All range States have had this point put to them, and they have agreed with it , even recognizing that the results from MIKE may mean their hopes and dreams may not be realized. The process will not be biased. MIKE is not a decision-maker. It produces information, and no one can predict how that information will be used. Distinguishing between what MIKE is actually doing and what it might be perceived to be doing was important. For example, some Parties think MIKE is there to advise them. In response it was made clear that MIKE does not advise. It produces information which should be objective, of an international standard and complete. The more information there is, the more range States can decide on how to use that information to guide their own stance. In this context, it would be fair and honest to say that MIKE, at CoP13, will be able to make information available to the Parties. As time goes by, the information will get better, will be more thorough, and will better demonstrate certain trends. But MIKE will still not advise or recommend in regard to formulating any decision. The further point was then made that MIKE is the result of a CITES decision, which many bought into because they thought it would give information on the impact of ivory trade decisions. But MIKE has broadened into an extremely useful tool in Africa and hopefully also in Asia. It is vital to get some of this understanding out to (all) Parties before the next CoP. A message needs to come from the MIKE Director, well in advance of CoP, setting out that "this is what MIKE can do, this is the stage it has reached". The issue of MIKE expectations was then reflected on as being a case of did you describe it as half empty or half full. Experience in various different forums shows that elephants mean different things to different players. In seeking common ground, monitoring was identified as a significant contributor to unifying and creating better understanding between the players. MIKE is exciting, because for the first time, we will have a continental wide monitoring system. Some do not like the fact this MIKE was born out of proposals to trade, but it is important to ask, without CITES, would we ever have got to this point? Other processes have not delivered this. It was the CITES process that made this happen. MIKE can open our eyes to both bad proposals and to good proposals. Q15. Is MIKE capable of delivering the requisite information to enable the lifting of the ivory ban? Is MIKE not just another case of putting in place a system which will never meet the conditions and thus ensure that there can never be any ivory trade? Essentially MIKE is a programme for equipping range States with better information about their elephants and what is happening to them. What MIKE is likely to do is demonstrate that illegal killing is motivated by more factors than the decisions taken at a meeting of the Conference of the Parties to CITES. The connection or otherwise between what one range State does and its impact on another should also become clearer. This should facilitate each range State to decide more confidently on how it would respond to requests for resuming any ivory trade. MIKE should also facilitate the range States dialoguing with each other, developing trust and changing a decision more speedily, if it proves necessary. Both sides of the ivory trade spectrum have expressed their fear that MIKE is a vehicle for banning the trade for ever or for allowing a resumption of trade, so presumably they cancel each other out. In reality, MIKE should be able to and hopefully will provide information that is transparent, honest and trustworthy. It is up to the Parties on how they use that information to determine their policy. The difference will be that there should be less criticism that such decisions were based on a fear of what might happen, because we should have a better indication of whether that fear was well grounded or otherwise. Supplementary Q15. The Secretariat analysis of some poaching in Kenya prior to CoP11 concluded that it had nothing to do with down-listing but with other problems. The question then is why do we need MIKE, if it is so easy to assign a cause to poaching and if the Secretariat will be making recommendations again, in what way will they be based on MIKE, and in what way on other factors? In responding, The Secretariat pointed out that it is obliged by the convention to make recommendations, and these must be based on information available. It is important to understand the Kenya case. It was stated that the ivory was not the result of increased poaching due to recent CITES decisions, and that the seizure was a result of increased enforcement efforts. This judgement was based on several bits of information to hand. There had been a massive seizure from a diplomatic bag. It had been demonstrated to the Secretariat that the seized ivory involved was old, not a recent kill (which was the media argument), indicating recent decisions had not caused it. Further, there had just been a Customs workshop completed with TRAFFIC. One analyst suggested that the CoP decision had influenced the killing of elephants, but the Secretariat pointed out that what was actually evident was the result of changing levels of enforcement effort. The Customs officer in this case indicated that they had seen similar things in diplomatic pouches, but that it was only after the above workshop in which it was pointed out that these things were not covered by diplomatic immunity, that they did something about it. So we need to understand this case in context. Coming to the present, the Secretariat understands two proposals will be coming forward from Zimbabwe and South Africa. These will be looked at in the context of whether to support or not, based on information at hand. The Secretariat will have information on elephant populations from southern Africa, because they have a number of years of information, predating the MIKE programme. The Secretariat is not expecting continent-wide MIKE information to inform their recommendation. Currently there is no idea what the Secretariat will be recommending because the proposals have not been submitted. Q16. Is the MIKE process sufficiently robust, rigorous and neutral to withstand influence from either side of CITES debates? Time will tell, but the essence of MIKE is to be a supplier of information that is robust, rigorous and neutral. The point has been put to all range States, that if MIKE is to succeed, it has to have objectivity and integrity and that we cannot predict what information will come out of MIKE. So far, no range State has disagreed with that, and they all seem aware that MIKE may produce information that does not support their hopes and aspirations, whatever side of the spectrum they happen to be. Lastly we believe the neutrality of MIKE has to be defended to the hilt and we believe everyone supports that position. Supplementary Q16.1. What access to data will there be for other range countries, which may be impacted? Surely this is fundamental to the utility of data provided by MIKE? All range States understand that if MIKE is to work they must share information. States particularly want a sub-regional picture and this cannot be done without sharing. The process is that they want first chance to analyse and know the information. So far, it appears that they will then willingly put information into the public domain. This is certainly true of the population data, although we are not so sure about enforcement data. However the experience to date is that countries want their data to be available at CITES – this in essence is why they adopted the monitoring programme. They are also very keen on the sub-regional groups and this encourages sharing. When does this get opened to being scrutinised by third parties? In terms of timing, it is hard yet to provide any definitive answer, until we have been through a full cycle. What happens if something makes that country look bad, has still to be experienced? It is most likely that they will take negative material ‘on the chin’, because this is the benefit of being a CITES process. The States know that they have accepted a decision that requires objectivity and this is the basis for many actions taken by the MIKE Subgroup, such as appointing TAG members. Supplementary Q16.2. To what extent will sub-regions share information, as they may want to make their own analysis of continental situation, without wanting to receive it from higher level analysis? Sharing between the sub-regions has to happen and it has been clearly defined as a CCU role. If there is any worry about some of the information being incorrectly analysed, then this is a role of the TAG. The TAG is there to be independent and to do peer review if any information is being questioned. Supplementary Q16.3. Is the TAG to review information, or to review processes? Firstly it is to review processes, but if there is a query, to review information. The TAG therefore has a ‘Court of appeal’ function. Supplementary Q16.4. Re the next CoP, will the TAG review information that is to be used in informing Secretariat for them to take a position on proposals? Supplementary Q16.5. Talked earlier re saying MIKE is not in the business of advising Parties and that the Secretariat is not looking to make recommendations based on MIKE at CoP12, but might be at CoP13. So while MIKE will not make recommendations, MIKE data might be used by the Secretariat to make recommendations? The Secretariat is required to make recommendations (a poisoned chalice), and will use whatever information and facts they have at their disposal to make recommendations. MIKE will be a provider of information. So if a proposal came in asking for elephant up-listing, on the basis that trade would impact other populations, then if MIKE had information to address this link, the Secretariat would use this information in its response. So the Secretariat will be using MIKE as a source of information on which to base recommendation. NGOs will also have this information. MIKE is about communicating the information that it obtains, based on the agreement with Parties which committed them to make information publicly available as part of the MIKE process. So realistically, Parties and NGOs will use this information, either in formulation of proposals or positions. Better information should help make better decisions. This does not imply that MIKE will ally with pro- or anti-trade viewpoints. The point was then made that MIKE is more than a CITES decision making tool. If there are no elephant proposals before the CoP, it does not mean that we have wasted time with MIKE, because it can do so much with capacity building, guiding site management, etc. Q17. Does MIKE assume some relationship between law enforcement effort (LEE) and poaching? MIKE recognizes that law enforcement effort is a factor that can influence poaching levels, but it is also important in checking if any trend is real. Obviously the data being collected will test how LEE correlates to illegal killing. The LEE data will also assist in improving the effectiveness of law enforcement (which has been a problem in the past). For example, it will show where patrol effort is directed, and where it should be directed. Therefore no assumptions need be made. Q18. If law enforcement is one of the factors in the analysis, just how is it factored in? The data analysis will treat LEE as a variable, amongst other variables. Comparison across sites, with different levels of LEE, will help evaluate the importance of this factor. Q19. How are decisions on site boundaries made, and by whom? The MIKE team tries to agree on boundaries on a site-by-site basis, taking into account local and technical advice, and in consultation with range States. Existing population surveys may be very helpful, e.g. in Kenya for Samburu and Laikipia, MIKE kept the population survey boundary as the site boundary. The LEE does not have to cover the entire site, as one of the MIKE objectives is to measure existing effort. Q20. Will protected and unprotected areas be analysed separately? Level of protection is a factor in the analysis. Currently unprotected sites are under-represented, so MIKE needs and is looking at improving this situation. Q21. Could we have more details on budget: where does it stand? Currently we have funding for an 18-month programme supporting implementation of MIKE in Africa. Have secured just over USD 3 m, this should be adequate. For Southeast Asia, we are currently looking for funds for a 2 year first phase programme. The ‘cash’ value required would be around USD 700,000. Q22. Zimbabwe has used money from ivory sales to fund MIKE, have others? Botswana and Namibia have put money into MIKE. It is less clear with Zimbabwe, but it is understood that they did. The Secretariat believes (but it has not been verified) that in addition to funding MIKE, all three countries have used auction money for a variety of conservation projects. Q23. It has been mentioned that MIKE may have application for other species. Where countries have limited management resources, and might be collecting data on other species subject to poaching, e.g. in Asia, with rhinoceroses or tigers, what about broadening these efforts to include elephants? The MIKE approach is quite flexible. For example, in Uganda, they have been adapting their own system (MIST) to include elephant data. In the Democratic Republic of the Congo, it is intended to do the population survey work on bonobos as well as elephants. Given resource constraints, it is important not to over-reach the monitoring effort, especially as there is a tendency to try to collect too many data. Q24. If a broader species approach is adopted, MIKE may have more relevance to NGOs like WWF. Where there is some resistance, like Asia, the broader approach may be better? Many teams going into the field aim to collect data on several species anyway. Obviously there is a concern not to jeopardize the elephant data. If that is not an issue, then a more flexible, wider approach is possible. Indeed it makes sense to try to synchronize as much as possible, and not jeopardize other efforts. The corollary is that if other programmes are prepared to collect core MIKE data, it effectively becomes MIKE site without too much palaver. To correct misconception about Southeast Asia: these States have been pushing for this for years, though you would not get that impression from the AsESG. There are some reasonable concerns at an NGO level, but these are being actively discussed and taken on board. Q25. Given that MIKE may be collecting data relevant to bushmeat issues, is there a way to link the MIKE data collection system with the CITES Bushmeat Working Group (BWG) in Central Africa? How can MIKE work with the BWG, which will have its own coordinator in place very shortly? MIKE should be getting information on carcasses, snares, poaching traps, motivation etc. This can easily be given to the BWG and the analysis should not be confined to MIKE processes. MIKE is more site-linked, but the BWG is better placed for some information, such as cross-border trades, hotspots for trade, etc., which in turn will be relevant for MIKE. Collaboration will be actively encouraged. Q26. Given growing evidence to suggest that one of the major causes of elephant poaching in Central Africa is the bushmeat trade, how will MIKE in this region be monitoring the elephant poaching and bushmeat trade link? On the carcass forms, there is a question regarding why the elephant was poached? Bushmeat is listed as one of reasons. There is an awareness that bushmeat is a major motive in some of the illegal elephant killings and that in some regions it is far more common to find elephant meat on sale than ivory. It makes sense to want to pass this information on to BWG and to TRAFFIC. There is a lack of awareness that ETIS deals with elephant products other than ivory, particularly at the national level. A CITES Management Authority may not be the primary people who have seizure data. It is more likely to be Customs people. Therefore we are currently looking for funding for national level workshops to develop data collection protocols at national level, which will feed in to MIKE and ETIS processes. That said, ETIS is getting some data on meat seizures. 1. The unique structural basis to MIKE is a great strength. It is unique to have the sub-regional Steering Committees drawn from national wildlife departments at the director level as well as having linkages lower down. One of the reasons NGOs have been interested in MIKE is because it allows them opportunities for better contact with Governments through these structures. 2. Unlike many donor programmes in Africa and Asia (which follow a kind of ‘cargo cult’ model), in which the infrastructure collapses after funding, the MIKE programme builds on in kind and in-situ arrangements of government structures. It enables the Governments to continue the programme after initial MIKE support.